Residents of the Historic Houston Heights continue to make history this Friday night, December 3rd, as they host their annual Holiday on 19th Street event. This special evening has been a Houston area highlight for more than two decades amid a festive atmosphere filled with shopping bargains, refreshments, Santa, carolers and much more. “It’s like spending time inside an old traditional post card,” said one shopper from last year, “everyone is full of the Christmas Cheer and there’s lots to see – antiques, clothing, books, original artwork and so many unique gifts.” The opportunity to Sip, Shop and Stroll down 19TH Street starts at 6 PM and ends at 10 PM. But this year is extra special. The 19Th Street Merchant’s Association has chosen to give as well as receive. According to Merchant’s spokesman and shop owner Dan Long, “We are aware of the growing homeless problem in Houston – this Christmas, more children will be homeless than ever before. So we’ve decided to help.” he said. And with that, 19TH Street created a miracle of giving. This year, visitors will be given the opportunity to Shop AND DROP for the Star of Hope Homeless Mission. Customers are encouraged to bring a new or gently worn blanket or a new toy to any of the participating 19Th Street merchants and DROP it into the donation box while they shop. In addition, some merchants will be offering discounts or free gifts for the donation – and many will donate a portion of the December 3rd proceeds to the Star of Hope Mission. The Star of Hope reaches out to about 1,000 homeless men, women and children EVERY DAY – keeping them off the streets. We thank 19TH Street in the Heights for their small miracle and encourage everyone to take part in the Friday night event. 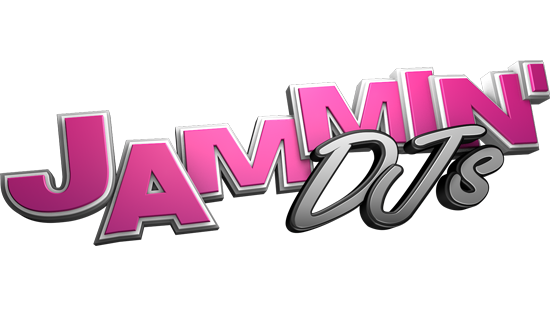 I’d like to take a moment to personally thank you and your organization, JAMMIN’ DJs for your continued support and contribution to the annual Miracle on 19th Street event held on December 25th each year at the Denver ChopHouse. We serve on average, 2,500 homeless and hungry, men, women and children each year on this day. We’re also able to provide them with optional flu shots, blood pressure checks, pictures with Santa or an individual or family portrait and gift. Each year, we see guests beginning to wait in line outside, oftentimes in the bitter cold and sometimes the snow, around 7am. We don’t open the to the restaurant to begin serving warm meals until 10am so having JAMMIN’ DJs playing upbeat holiday music for our guests, keeps their spirits high and excited for all the holiday offerings we have planned throughout the day. Thank you for making the first impression our guests have of the event, a cheerful one. Such a small gesture means so much to so many. This year, we’re also very fortunate to extend our most heartfelt thank you for hosting a toy drive that will benefit the youngest clients we serve at this event. We appreciate all you do for our event and look forward to a continued partnership for many years to come.